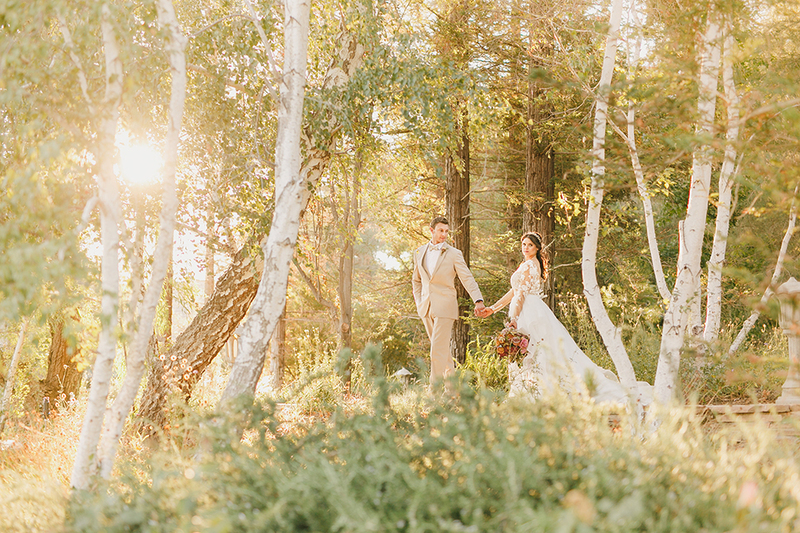 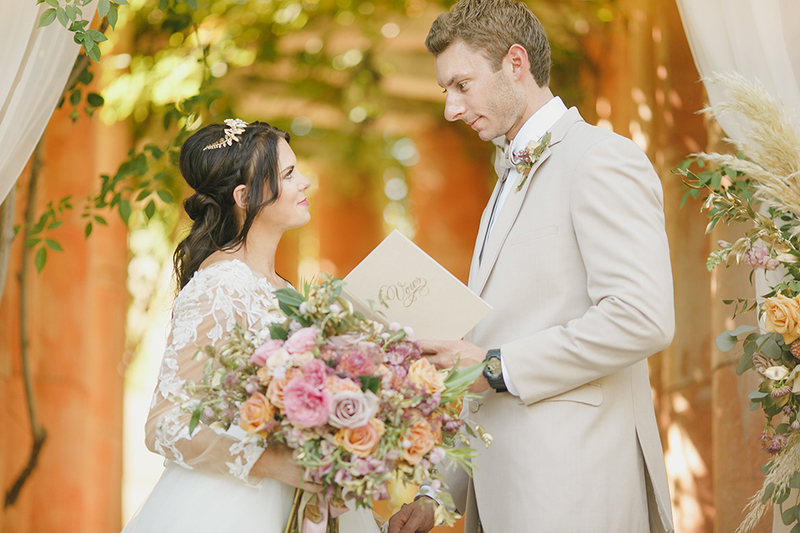 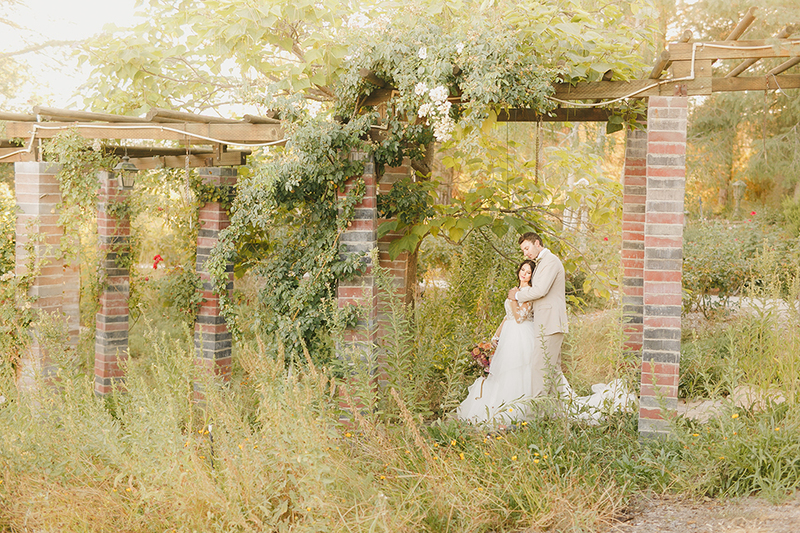 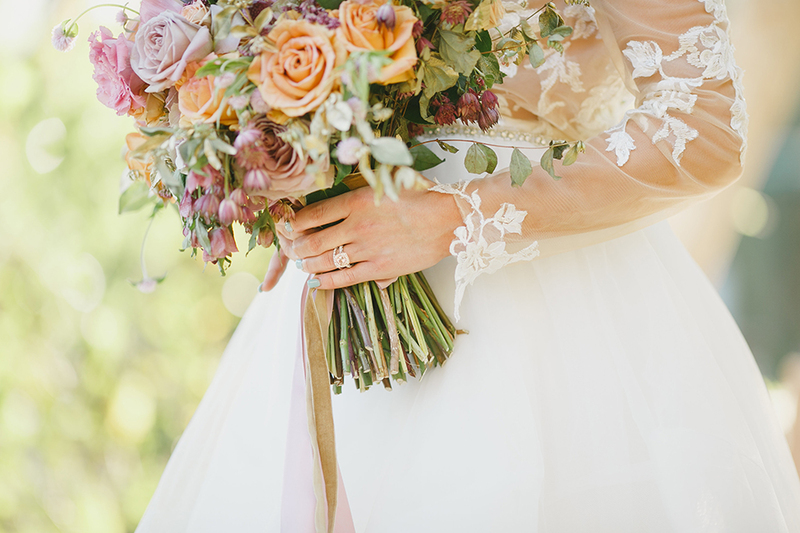 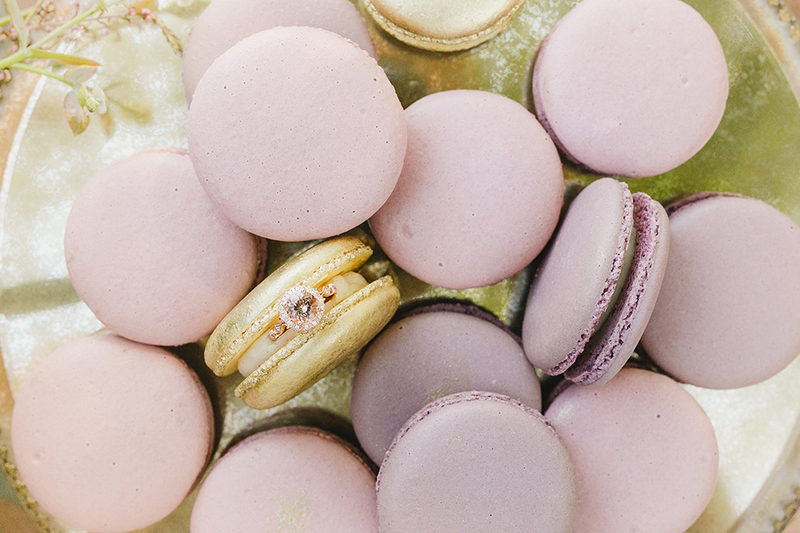 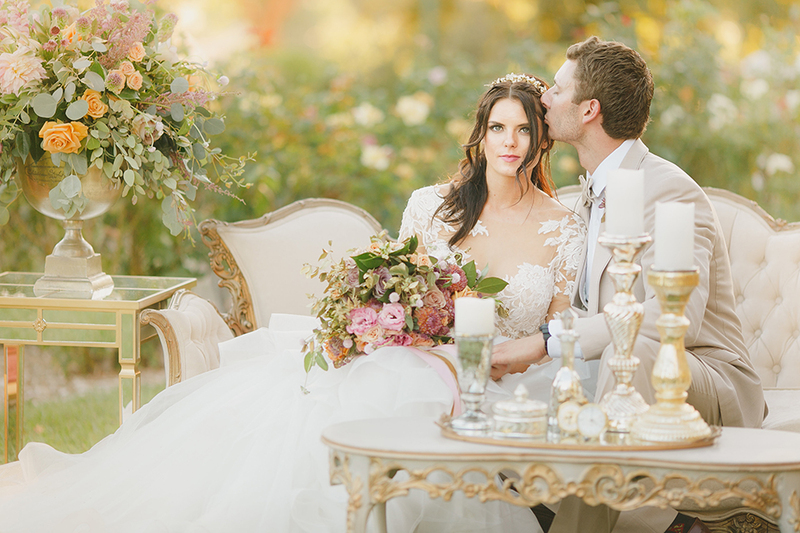 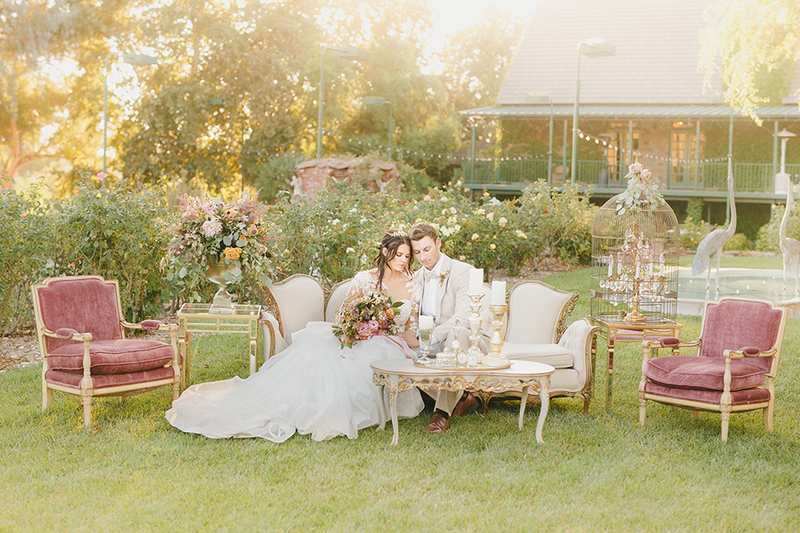 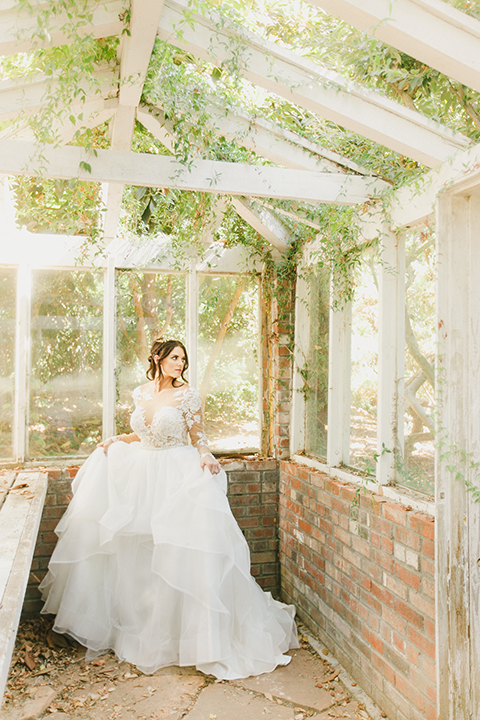 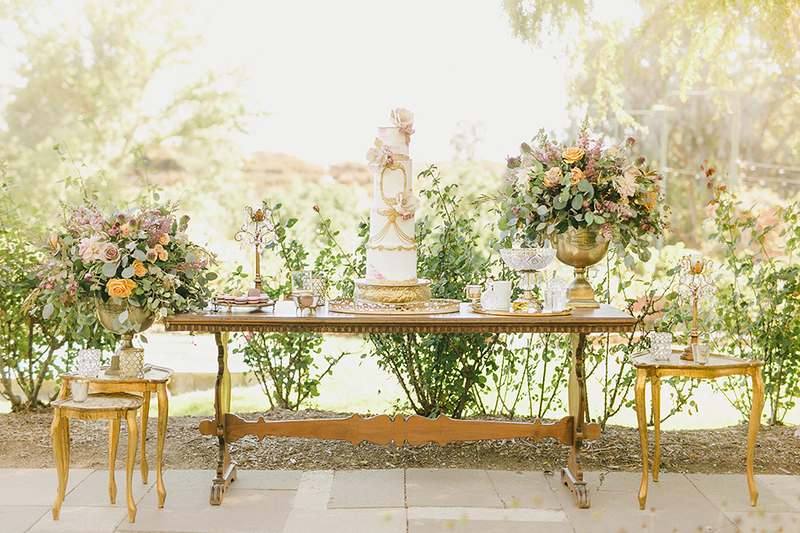 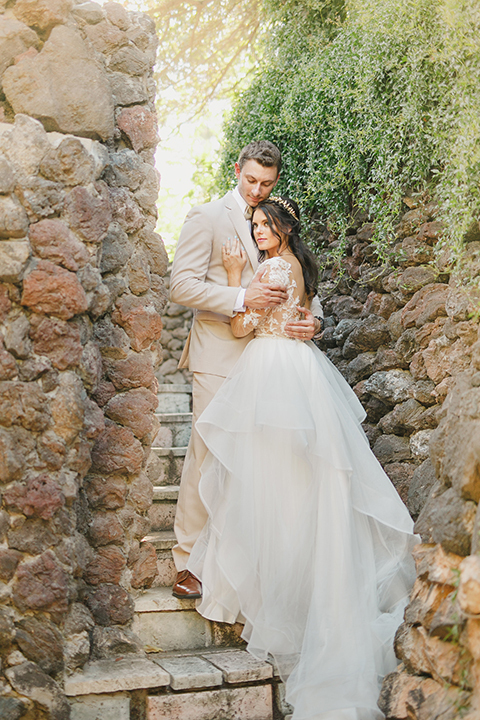 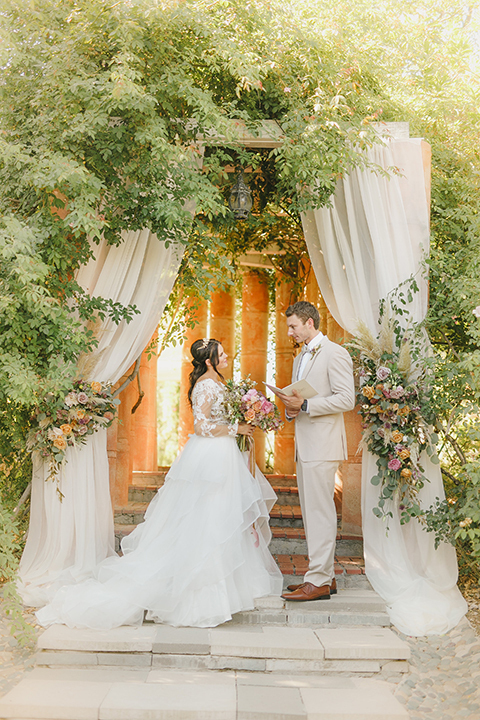 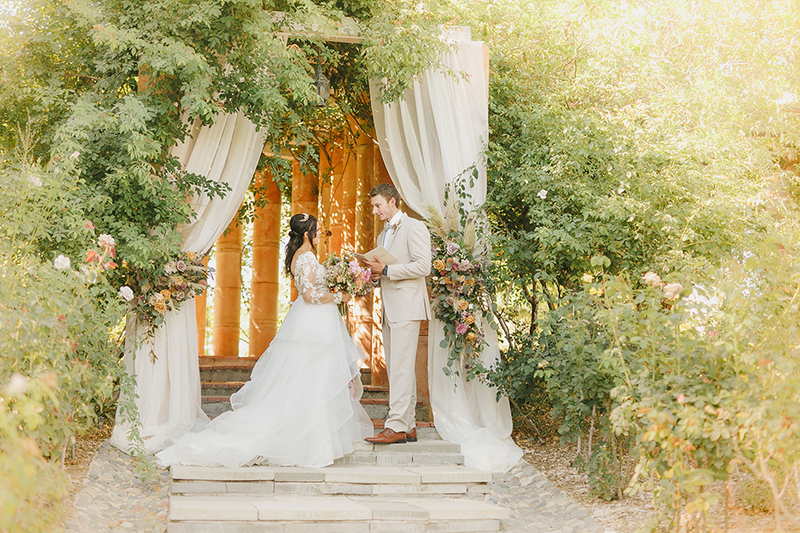 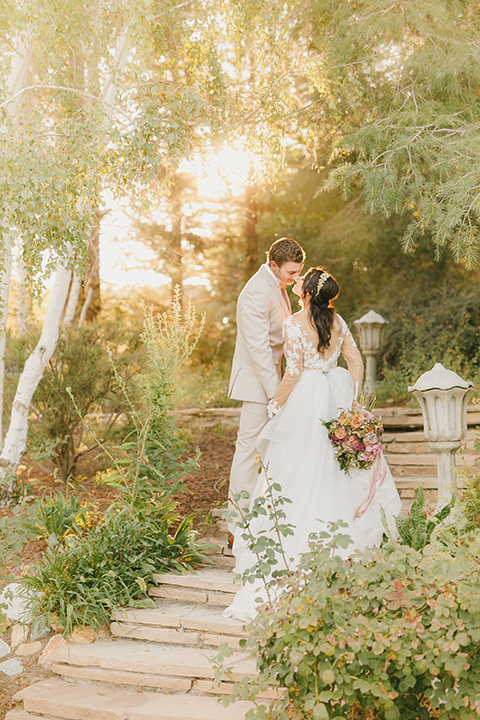 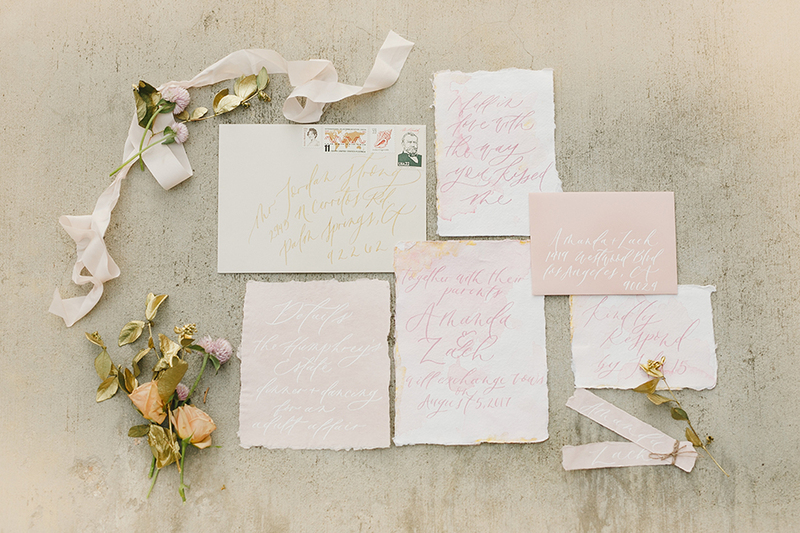 When most people think of a Temecula wedding, they imagine a winery, but this Humphrey's Estate wedding has all the romantic oak tree backdrops you could ever want for a more nature-inspired theme. 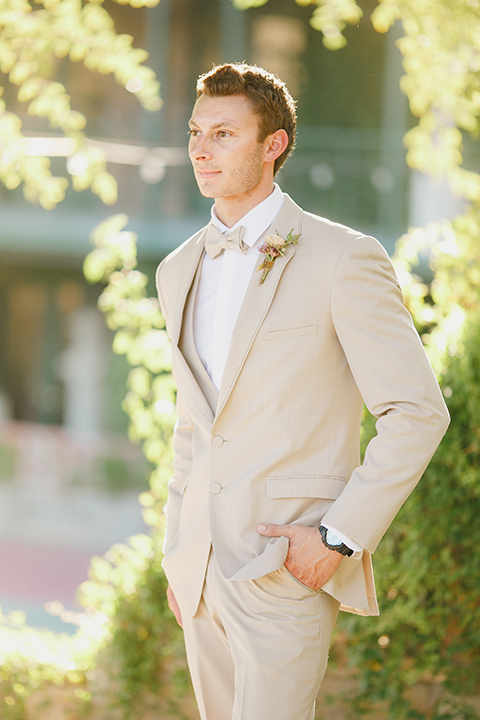 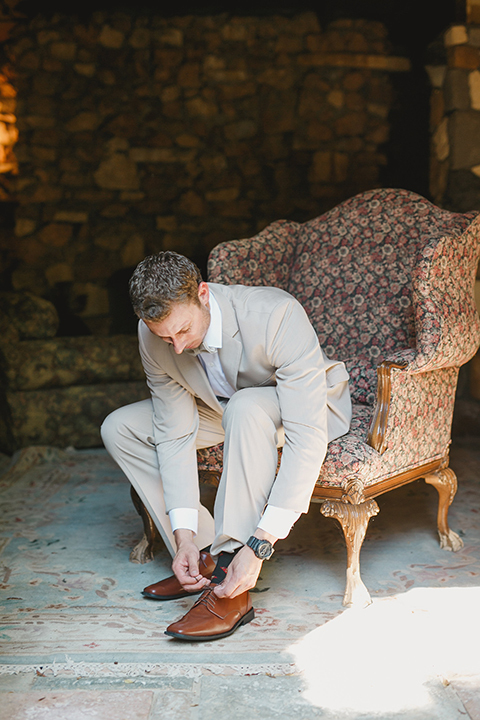 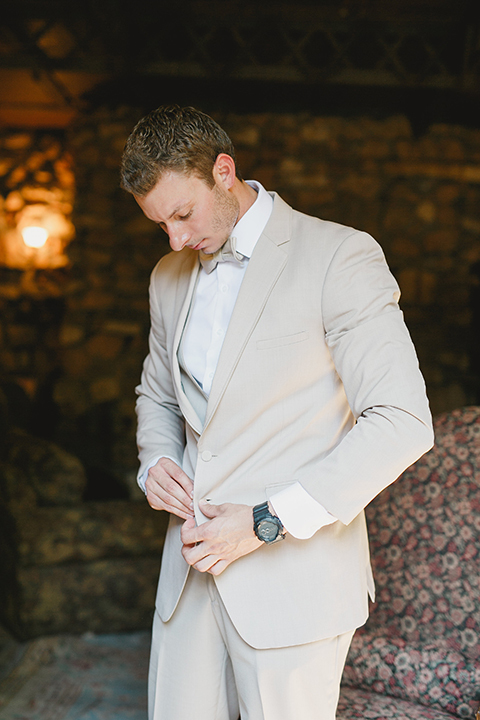 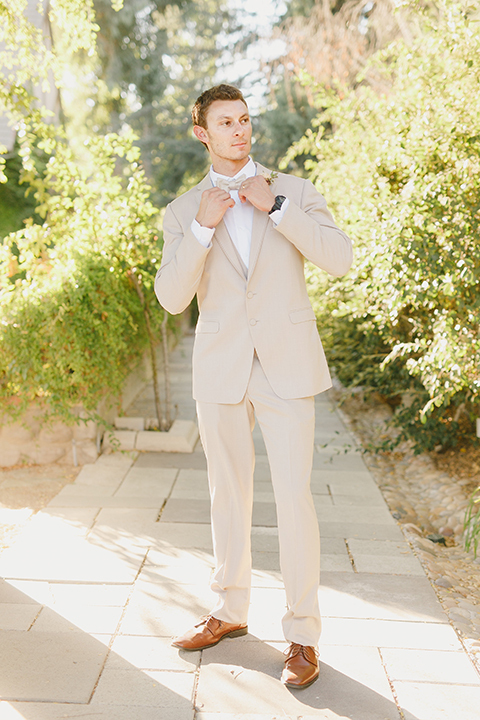 The neutral color palette is a perfect fit for the venue and wedding style and the choice a tan suit for the groom with an ivory tie was ideal. 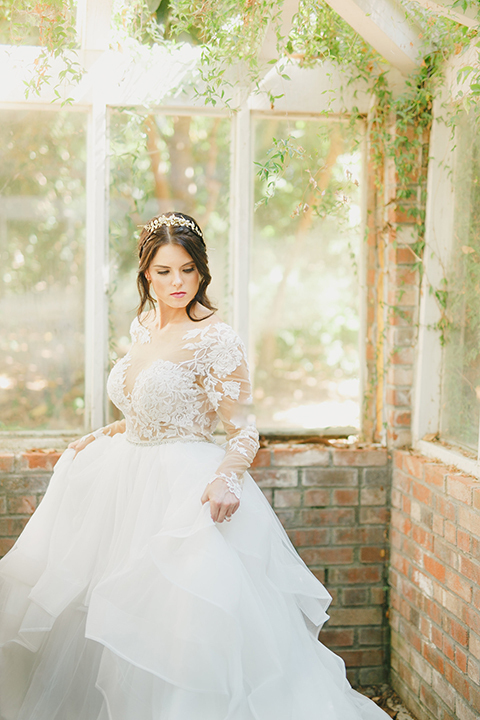 The bride's gown has lace sleeves and a full skirt which has a traditional feel but is on trend with current bridal gown fashion.